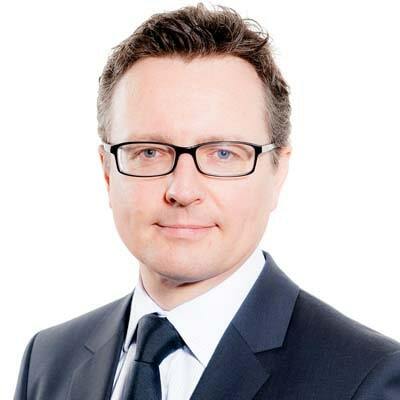 Jason Coates is a leading UK pensions lawyer. He helps his clients to respond to the challenges and opportunities they face in operating their pension arrangements, commercially and without jargon. A London-based Gowling WLG partner, Jason works closely with his clients and their other advisers to develop innovative solutions. He is well-known for building very strong relationships, which enable him to provide advice in context and assist clients in meeting their specific objectives. His clients include trustees of UK-based pension schemes, whether defined benefit, defined contribution or hybrid schemes, corporates in all sectors with defined benefit pension schemes, companies in all sectors who need help establishing and running retirement arrangements, and other law firms who need high quality UK pensions advice for their clients on complex deals. Jason has a great deal of experience assisting non-UK based clients from across the world (recently including French, Japanese and US companies for example) with their UK pension issues. Jason is also the firm's Head of Italy Desk. In this role, he is responsible for Gowling WLG's relationships with Italian law firms and Italian corporate clients across the globe. Leading a team of lawyers across the firm's offices, including a number of Italian speakers, Jason co-ordinates our work with Italy. His aim is for us to be one of the preferred international law firms for Italian corporate clients doing work outside of Italy. Jason is also the focus for the firm's outward referrals to Italian law firms in order to get support for Gowling WLG clients doing business in Italy. Helping a French electronics multinational with a UK pension project, involving a merger of eight pension schemes. The project created a new £3 billion scheme with a novel governance structure, implemented liability management exercises and established a career average scheme. Assisting the trustee of an £800 million pension scheme conclude terms on a £450 million innovative buy-in and buy-out transaction, which significantly reduced the ongoing risks. Advising on the UK pension aspects of the US$1billion sale of global insurance claims adjusters Cunningham Lindsay to CVC. Working with the trustees of the ICL Group Pension Plan and Fujitsu Comparable Pension Scheme on an £800 million capital injection from Japan into Fujitsu Services Limited. The funds were then injected into the pension schemes, substantially improving the security for the 20,000 members of those schemes. Advising a global media company on the closure to accrual of its UK pension scheme. The closure involved dealing with overseas employees and putting in place a flexible apportionment arrangement to address an uncertain section 75 debt issue. Guiding the trustees of the Delta Pension Plan in making an appropriate response to the takeover of the Delta group of companies by Valmont Industries, and the associated corporate restructure. Helping a charitable organisation manage pension risk by agreeing a bulk transfer from an industry-wide scheme into its own pension scheme. Working with the independent trustee of two pension schemes to respond to a funding proposal from the sponsor, which included an asset-backed contribution arrangement. Advising a trustee on an innovative transaction which resulted in a better outcome for members than would have been the case if the employer had become insolvent. This involved a compromise agreement relating to a section 75 debt and gave members options about how their benefits were secured at a level above PPF level benefits. 29 January 2019 Fiduciary management: improvement through competition? 14 January 2019 Deal or no deal - what does Brexit mean for pensions?